The Pokes kick off the 2018-19 campaign against the 49ers. The Oklahoma State basketball team that takes the floor on Saturday may not look anything like the finished product at the end of this season. In addition to folding in five new freshman, transfer point guard Michael Weathers is not expected to play despite being reinstated to the team, and Indiana transfer Curtis Jones will not be eligible to play until next semester. In addition to Weathers’ and Jones’ absence, Mike Boynton’s backup option at point guard, transfer Mike Cunningham, was not able to play in last Sunday’s exhibition win over Ouachita Baptist due to a tweaked hamstring. The hope is that he will be able to return to the floor this weekend. Boynton’s young Cowboys will officially kick off the 2018-2019 season against the first-year coach Ron Sanchez and the Charlotte 49ers, which lost their first game of the new year against Chattanooga, 80-69. Sanchez previously worked under Tony Bennett as an assistant for the Virginia Cavaliers, and will try to bring the Cavs’ pack line defense to Charlotte, which allowed a disappointing 79.9 points per game a season ago. In the absence of Weathers and Jones, Boynton will turn to returning starters Lindy Waters and Cam McGriff to carry the scoring load — the two leftover starters from a year ago will be asked to lead the young Pokes in the midst of the roster transition. In the backcourt, freshman guard Isaac Likekele should get a look to start after pouring in 18 points in 28 minutes in Sunday’s 80-59 win over Ouachita Baptist. The lengthy Likekele made an immediate impact on both ends of the floor and will need to continue to contribute this year as a first-year player if the Cowboys are to climb from their preseason pick to finish last in the Big 12. 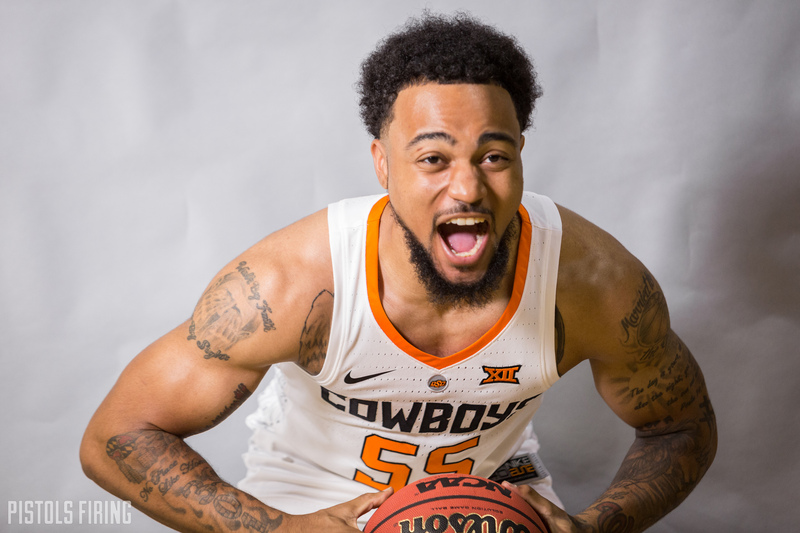 Along with Likekele, graduate transfer Mike Cunningham is hoping to make his way onto the floor in the backcourt against Charlotte for the first time as a Cowboy. Another freshman impressed in his first game. Maurice Calloo, who poured in 12 points and pulled down 4 boards in 25 minutes. The 6’9, 225 lb. forward showed some game in the paint and on the perimeter, and should see plenty of action again vs. Charlotte. If the Cowboys can get solid production from the newcomers around the returning Lindy Waters and Cam McGriff, they should be able to hold down the fort until the reinforcements arrive.